This company is known for providing financial services to the people that need it, which is what the people who fill out a Northwestern Mutual application expect. Links to apply for jobs at Northwestern Mutual, at the corporate and local level, are at the bottom of the page. 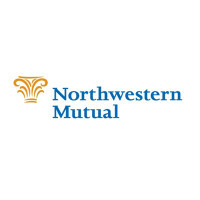 Northwestern Mutual was originally called the Mutual Life Insurance Company when it was founded in 1857 in Janesville, Wisconsin. They experienced their first two claims in 1859 after a train accident killed two of their policy holders. Unfortunately, the company did not have the funds on hand to pay both claims, so the company president and treasurer borrowed the funds personally to pay the claims. As word spread of the company, it grew exponentially, expanding across the Midwest and into the Eastern United States by 1865 and changing their name to Northwestern Mutual Life Insurance Company. For the first hundred years of their existence, Northwestern Mutual focused exclusively on life insurance, but after 1969, the company began offering disability insurance, retirement annuities, and long term insurance policies. During the 1990s, they purchased the Frank Russell Company, prompting a name shortening to just Northwestern Mutual. Although Northwestern Mutual was started in a small Wisconsin town, they have expanded across the country, with over five thousand employees nation-wide. Their headquarters have moved from Janesville, to Milwaukee where they’ve started construction on a new head office. Northwestern Mutual jobs at the corporate level have three paths, Actuarial, IT, or Operations. If you choose to hold a position in the actuarial branch, you’ll take part in a program that is designed to enhance and grow your career. The IT path will take you down the road to making sure that all of the programs that the company uses are working properly. In Operations, you will work with the local sales branches to make sure that they have all the answers for their clients. At the local level for Northwestern Mutual, you will work as a Financial Representative to aid clients in making financial decisions that are best for them and their future. As you start out in the company, there will be a large support network to help you build a base to have a successful career with this company. How old do you have to be to work at Northwestern Mutual? Age requirements vary by position. As you browse Northwestern Mutual jobs online, make sure to read all the position requirements closely as some need various jobs, experiences, or certifications as a prerequisite. People who have Northwestern Mutual careers at the corporate level get more benefits than those at the local level. Those benefits include health insurance, a 401K, pension, personal enrichment programs, and career advancement and development. At the local level, benefits include life insurance, retirement planning, business planning, and funding for education. Financial Representative – You will form a long-lasting relationship with customers to help them meet their financial goals from starting their 401K to reaching retirement. As you work with them, you’ll strive to answer questions and solve any problems that they may have for you. Compensation is around $45,000 a year. Application Developer – By supporting the service management team, you’ll work to make sure that everything is working smoothly, doing testing and maintenance as needed. Maintaining records is a major part of this job. Compensation is around $80,000 a year. Investment Products Consultant – You’ll work to strategically plan for the operations and the directions of the operation to make sure that it works for your customers and in the department. As needed, you’ll look ahead to make sure that future changes will still work with the product. Compensation is around $60,000 a year. Field Supervision Consultant – Offering support and advice to the Regional Vice Presidents is what this position is all about. Knowing all about the laws and regulation of the area is a big part of this job as a large portion of your job is talking to them about what is legal. Compensation is around $30,000 a year. Why do you want to work at Northwestern Mutual? This is an extremely common question, so you should be prepared for it. Talk about what drew you to the company, whether it was the company culture or benefits and why it’s your first choice in places to work. What experience do you have? Highlight any relevant experience that you have. If you’ve held previous financial advising positions, make sure to talk about them and what you’ve learned. Make sure to use plenty of examples to back up any claims you may make. Where do you see yourself in the next few years? This question is geared towards full and part time applicants, as the interviewer wants to know if you see yourself with the company. Be realistic in your career expectations, but make sure they know you’re willing to take on extra challenges and responsibilities in order to move up in the company. How do advise people on their financials? As this company works with customers for their financial future, knowing how you work in order to give the customer the best recommendations that you can is what this question is about. As this company works with customers, you may be asked this question in the form of a hypothetical situation: How would you take care of an upset customer? Be practical and realistic as you walk your interviewer through the steps that you would take to turn the customer’s experience around. How to apply for Northwestern Mutual online: first decide if you’re going to work at the corporate or local level. Once you’ve done that, follow the first link for a local career and the second for a corporate. Read all the position requirements carefully, and then fill out your Northwestern Mutual application. There is no printable application for Northwestern Mutual. Before attending your interview, do research on Northwestern Mutual and the industry in order to create a list of questions that you can ask. This may seem excessive for an entry level position, but it will place you in front of the other candidates as it shows that you think ahead and are prepared. Have a positive and friendly demeanor when you attend your interview because it will give a good impression. Dress appropriately for your interview as it will be in a formal setting, business casual as a minimum. A suit is better as it shows your professionalism. Show gratitude at the opportunity to interview with the company. Afterwards, make sure to inquire about the best way to check on your hiring status as almost no applicants will learn if they got the job during their interview because Northwestern Mutual will want to screen all candidates before making a final decision. Wells Fargo: Visit the Wells Fargo application. UBS: See our resource page for more information on UBS careers. CheckSmart: Checkout the application page for work at CheckSmart. Cashland: Visit the job application for Cashland to apply today. Cash America: For career opportunities, fill out the Cash America online application.